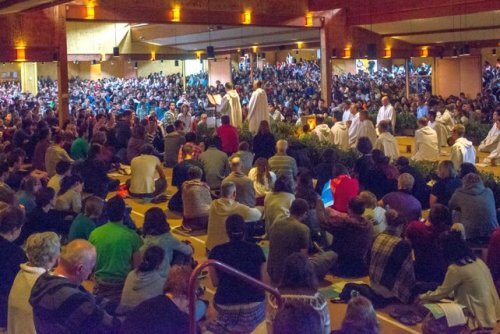 A week of reflection reserved for 18-35 year-olds will be held in Taizé from 25 August to 1 September, 2019. Students, young professionals, people involved in voluntary work and job-seekers are all welcome. Because of the special program for this week, we ask 15-17 year-olds, adults over 35 and families with children to come at another time during 2019. 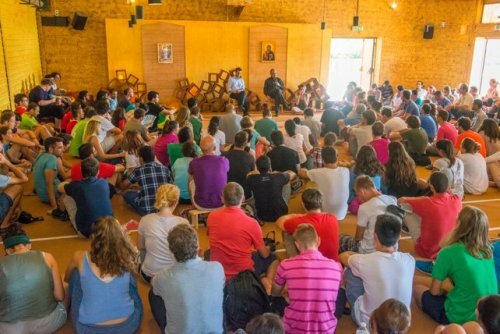 The aim of the week is to allow young adults of the same age-range to meet and discuss their future seen in the light of faith. At the end of morning prayer, the day will start with a bible reflection for everyone in the church. The program will include small discussion groups, workshops on spiritual economic, political, artistic and society questions. 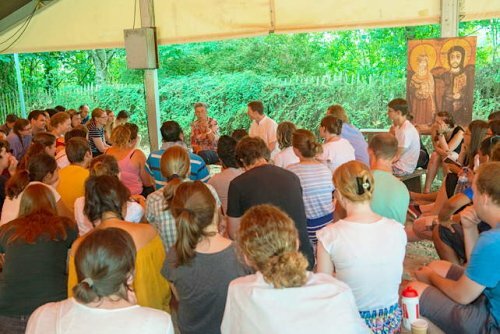 Different speakers will be invited for these workshops - people involved in actions of solidarity, international organisations, Christian communities, youth from different continents, sisters of St Andrew, brothers of Taizé. and local initiatives of solidarity will participate. There will also be small sharing groups. You can also choose (new in 2019) a program dedicated in particular to ecological questions. What kind of Europe do we want? Conversation between László Sólyom, former president of the Republic of Hungary, and Jean-Claude Mallet, specialist in questions of national security (France). Joy rather than myself: opting for joy in order to live for others. Bible reflection with a Taizé brother. Restoring relationships with God, with each other, and with creation — what can we do about poverty, inequality and climate change? With Ruth and Mali Valerio, author on ecology and director of a Christian charity working for sustainable development. Invent with your God the future he gives to you - how to make choices in life. With the sisters of St. Andrew. “Seven Last Words of Jesus on the Cross” for pianoforte by Haydn. Musical meditation on the crucifixion of Jesus. If you are working at the time of the small-group meetings, you can meet at 3.25pm instead.